Remember the days back in college when all you needed to guarantee attendance was a sign advertising “free food”? Well, step right up ladies and gents, have I got good news for you! You, yes, you can have FREE salad and stewing veg all winter long — if you can identify it, that is. It’s sprouting from every street corner, alley, empty lot, park, and even every private garden in Tel Aviv. And most of you probably thought they were just lowly weeds. an infoshop in Tel Aviv, Israel. Its purpose is to spread information and raise awareness of issues related to social change, including human rights, animal rights, the environment, globalization, social and economic oppression, consumerism, feminism and gender issues. It is run by an open, non-hierarchical collective of volunteers at 32 Yitzhak Sadeh Street, Tel Aviv. I had actually been inside their premises a few years ago (and two locations ago), when I had no idea who they were…and left quickly when it sank in that I was in what appeared an anarchist bookshop. Moshe says that they’ve actually branched out from then, hosting lovely events and lectures, and that generally friendly people frequent the place. I’ll have to drop by sometime for a better look. Back to the veg – As I was pouring wine all day last Friday (I got to open the Yarden Cabernet Sauvignon, a rare treat), so I couldn’t attend the walking tour. 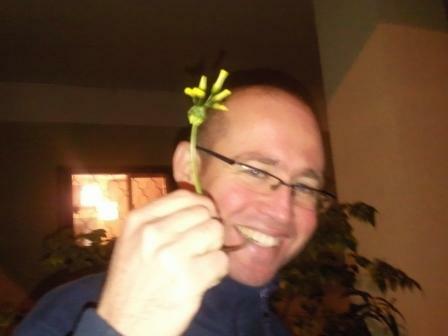 Lucky for me, Moshe took me on a private post-shabbat nighttime tour of central Tel Aviv’s tiny patches of green, sharing with me what he learned from the experts. What we found astounded me. 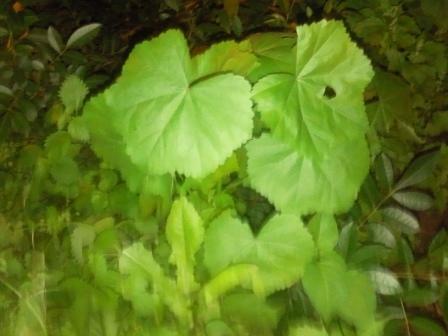 The mallow plant has gotten a bad wrap in modern times. It’s been thought of as a subsistence green, a poor man’s refuge, if you catch my drift. It used to grow just about everywhere in Israel. In fact, I think it still does, despite the urban sprawl. The Arab community cooks with it quite a bit, and it can be found in all of their suks. The Jewish markets…not so much. 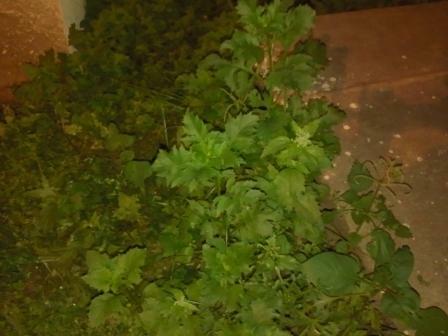 Luckily for us, this very easily identified plant grows everywhere…and I mean everywhere. This is a great little article in Hebrew about mallow, and if this works, here is the googled-translation of the same story. My friend Moshe told me to eat it like a salad green, very neutral yet pleasant taste. The Arabs sautee it with onions, include it in stews, and I’ve seen it used to wrap other foods in (like grape leaves). Slightly less obvious, but also quite plentiful is the mustard plant. For those of you who have never eaten mustard greens, they taste like the condiment. They really do. Somewhat brighter, sometimes more spicy, even. And this bold flavor is marvelous for cooking. Moshe, who I might add is a vegan, recommended that it also be eaten raw. Fine for some. In the States I bought mustard greens when I could find them (the first time was a mistake…I’m a sucker for strange veg I’ve never tried before). Great for stewing, steaming, sauteing. “Southern greens,” you know the kind that are stewed and drenched in fats and seasonings of all sorts indeed include mustard. Even the flowers are good, spicier than the rest of the plant. My new favorite green! I’ve already written about this green extensively, and now I don’t even have to hunt it down in the markets…it’s right out front! 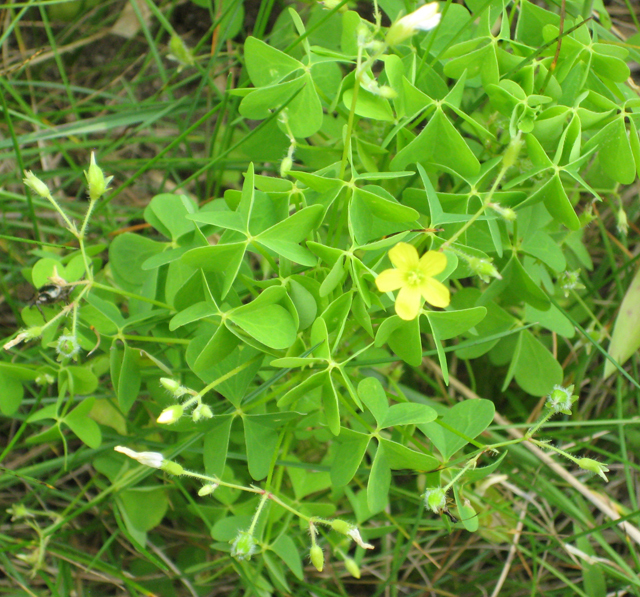 With delicate little leaves that look like flat folded clover, the stems are sturdy and snap crunchily when you bite into them as the lemony sour taste pours into your mouth. Lovely! 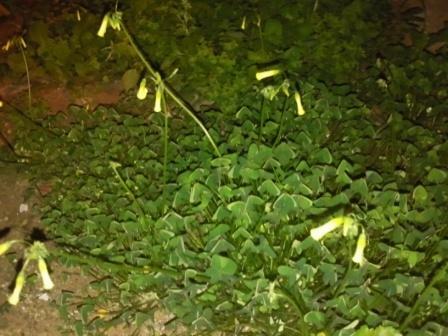 Every part of this plant is edible – leaf, stem, flower. All sour. It packs great punch in a salad, and as I’ve demonstrated a few times this year, it’s extremely wonderful in soups and stews. There are a few more edible greens in my public urban garden, according to Moshe, but they are more difficult to identify and are supposedly far more boring in flavor. For now, I’m going to stick to these three and see if I can come up with a creative recipe with them.